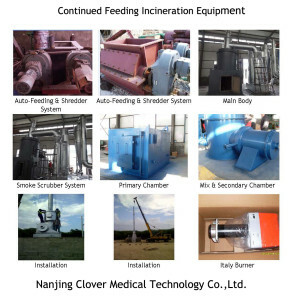 This model is large-scale waste incineration equipment for large waste output. 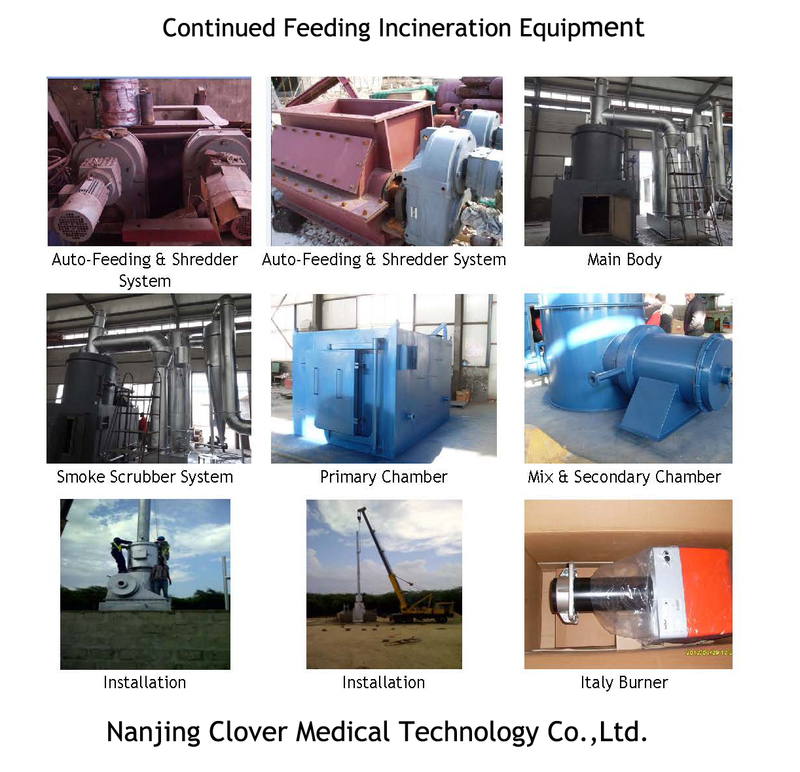 Construction is dual/double combustion chamber with 04 units oil burner, Continued Feeding incineration equipment. Waste feed chamber is around 4700Liters (4.7m3, YD-500W). Primary & Secondary combustion chambers and included mix-combustion chamber. Auto-Feeding load on the bottom of chamber. Incinerator panel control suit for local operation.